Now Samsung ready to give nougat update on Samsung Galaxy Note 5 device. 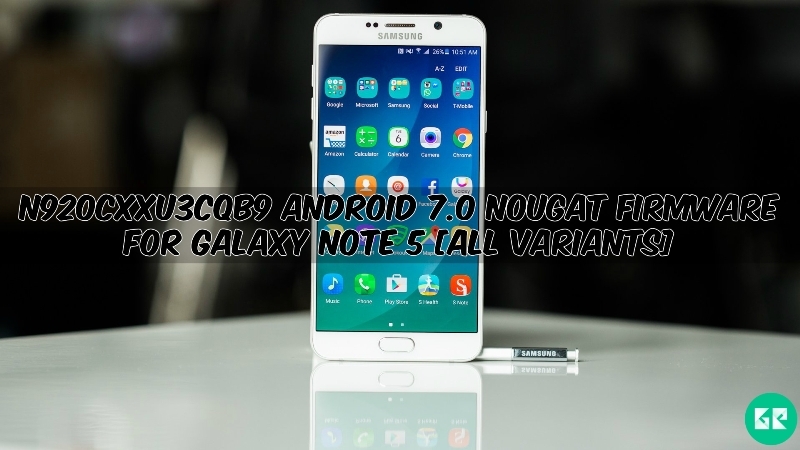 And officially Samsung launched the latest N920CXXU3CQB9 Android 7.0 Nougat Firmware For Galaxy Note 5 all variant device. If you don’t update your device then flash this version of firmware that makes your phone latest nougat android version. Samsung works on the official update. Enjoy via this update some exclusive features that were introduced in this android nougat update. 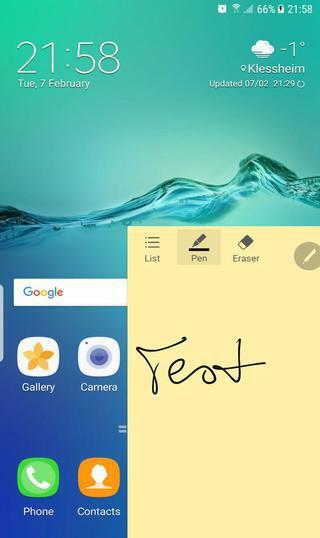 Samsung Released Galaxy Note 5 smartphone with Android v6.0.1 (Marshmallow). 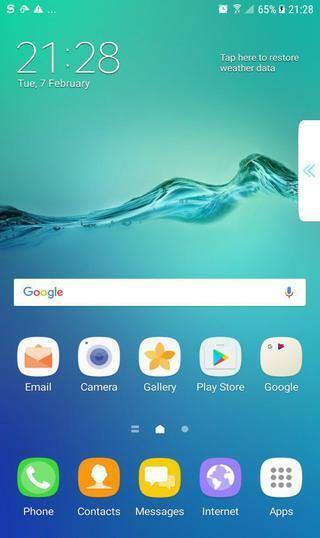 Samsung Galaxy Note 5 both devices run 1.5GHz octa-core Exynos 7420 processor and it comes with 4GB of RAM. This device has 32/64/128 GB GB internal storage and this device cannot be expanded. Samsung Galaxy Note 5 has 5.7 inches Super AMOLED capacitive touchscreen with a resolution of 1440 x 2560 pixels display. This device lets you snap 16-megapixel rare camera for photo & 5-megapixel front camera for the selfie. Sensors in the phone include Compass Magnetometer, Proximity sensor, Accelerometer, Ambient light sensor, Gyroscope, and Barometer. This update updates along with the latest security patches. The latest build of nougat QB9 in now available. This version OTA works on SM-N920C, N920G, N920I, N920K/L/S variant devices. If you can’t find any update in the system update, then this nougat firmware gives you that opportunity to update your device. If you want to update your device then make sure your device is rooted and installed TWRP recovery. The firmware is available for the all variant Galaxy Note 5 device. So, let’s go and read the instruction carefully. Edge features added from scratch. Screen capture and some more CSC stuff. 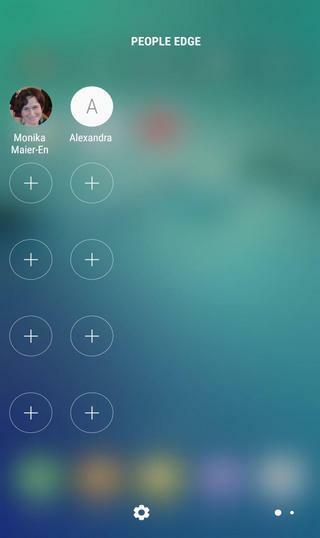 Hidden lock on status bar. Changed device name to SM-G935F for -Edge downloads, Gear support. Change device name to SM-N920C in build.prop for download additional language and change back afterward. Make sure your device must be run least Android 6.0 OEM ROM or above version. Need Installed latest TWRP custom Recovery. Take a full backup of your device by recovery. First of all, download the Firmware file and copy this file to phone storage. Now switch off your device and reboot into stock recovery mode by hold volume down + home + power. In the recovery ” select apply update from SDcard or external storage “. Select the Firmware file that you copy before in phone storage.